Rabbit tents and hideaway toys are used to keep rabbits safe, while they have fun adventures by themselves. They should help distract your rabbit from hiding and playing under furniture, which can be dangerous for them. 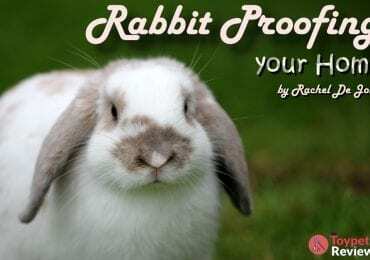 This article is meant to provide a detailed review of the best rabbit tent and hideaway toys on the market. The toys featured here are all available for online purchase, and have great ratings and reviews. We included various rabbit tent and hideaway toys, from large and extra large rabbit hideaway options, to dwarf rabbit igloos and hide-houses. This is a tiny house for rabbits and Guinea pigs made entirely of golden honey and fresh alfalfa. Thus, it is completely edible. 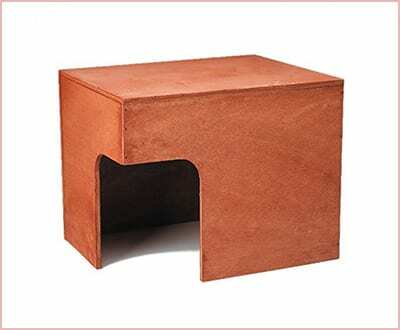 It creates a perfect natural hiding place for small animals like rabbits. 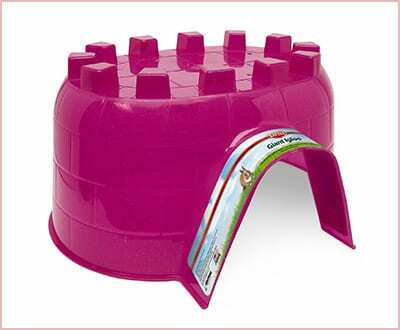 It is both a fun environment to play in and a tasty treat for your pet. Not to mention that it encourages your rabbit to chew, which is a natural and healthy instinct. 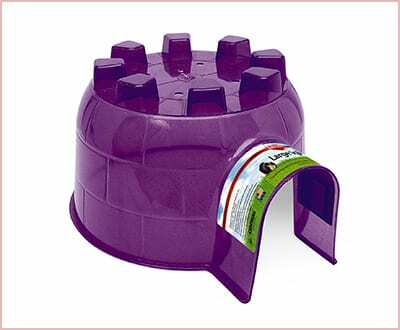 This one-piece, durable, plastic igloo is easy to clean and stain-resistant. 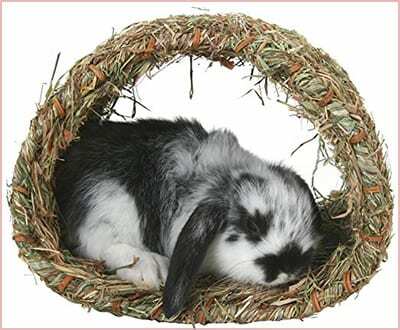 It is perfect for encouraging natural nesting instincts in your small rabbit. The price is extremely affordable, but you do not get to pick your color when purchasing. If you are looking for a specific color, this is not the purchase for you. 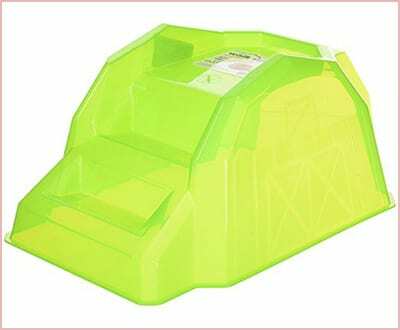 Most people seem to be satisfied with the product, which makes it one of the best rabbit tent and hideaway toys online. The Interpet Limited igloo is perfect for larger rabbits. It is made from the same durable plastic as the previous option and is just as easy to clean. It encourages natural nesting instincts in your large rabbit. The one-piece construction is under $10, which is a great price. May be too small for some rabbits, like a Holland Lop bun. This hideaway toy for rabbits is made from translucent plastic, and is climbable, perfect for an adventurous furry friend. It is odor resistant and comes in 4 different sizes. 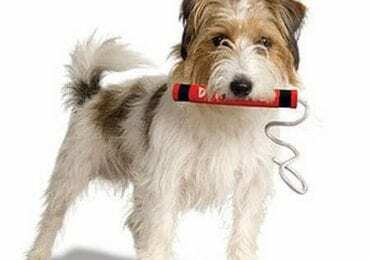 Priced at under $5 for the small option, the toy is really affordable. The large option is perfect for dwarf rabbits. 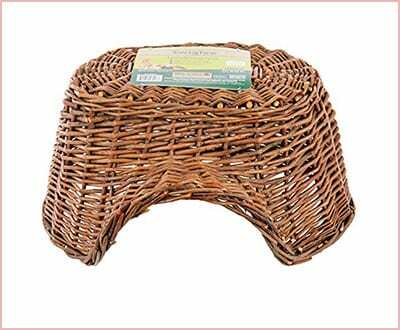 This hand-woven igloo is made from all-natural willow, so it is safe for all small pets. Unlike its plastic counterparts, this rabbit hideaway provides more privacy for your hopper friend. Safe for chewing, it promotes positive chewing behaviors. 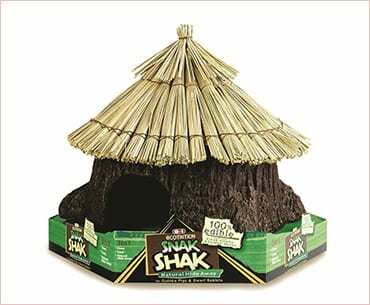 So, if you are concerned about your little fuzzy buddy chewing on his hideaway, this is the best choice for you. 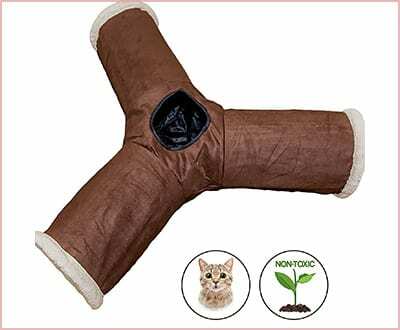 The Easyology 3-way tunnel for cats is not just for cats! It is perfect for rabbits as well. The safe, non-toxic material that connects easily with other tunnels by Easyology, makes it perfect for creating a fun rabbit tent. It also connects with the Easyology Zen Den, to create a perfect hiding spot for your rabbit. This is another one of the best rabbit tent and hideaway toys for your money. 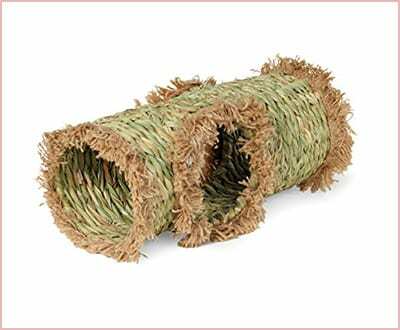 This hideaway grass tunnel toy from Prevue Hendryx is a great hand-woven activity center for your rabbit. It is 100-percent all-natural couch grass, around $20, and satisfies your rabbit’s natural instincts to burrow, explore, and nest. 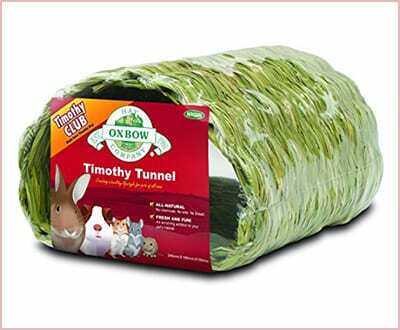 The Timothy Tunnel is a perfect hideaway for your rabbit. Made from 100% Timothy Hay, preservative and additive free, it is lightweight and all-natural. Your bunny will surely enjoy chewing and jumping on it. This rabbit den by Ware Manufacturing is sure to please your rabbit’s hideaway needs! 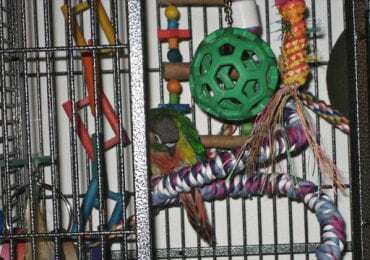 Made from top grade lumber, this durable hideout fits any cage or hutch. 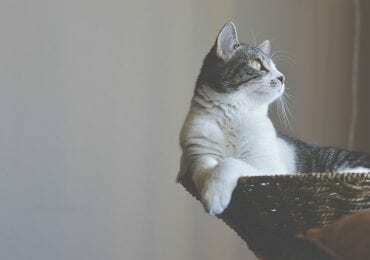 It provides a hiding spot, as well as a resting spot above. You can flip it over for a rabbit’s nest, too. Peter’s woven grass hideaway hut is 100% natural grass, and it is another one of the best rabbit tent and hideaway toys safe for your pet rabbit to chew. With a price tag of around $10, plus shipping, it will make you as happy as it makes your wee rabbit. This hideaway tent is perfect for rabbits. Due to its durable material with a sturdy metal frame, it can be used indoors, or outside. It provides a wonderful space for your little rabbit to relax. This is by far one of the best rabbit tent and hideaway toys available. 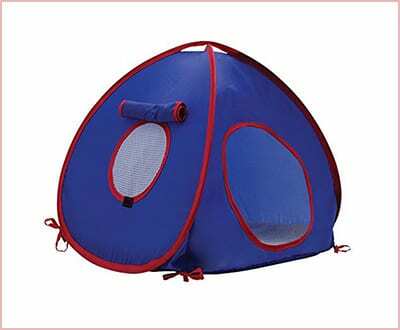 This tent by Mkono is perfect for your little rabbit. 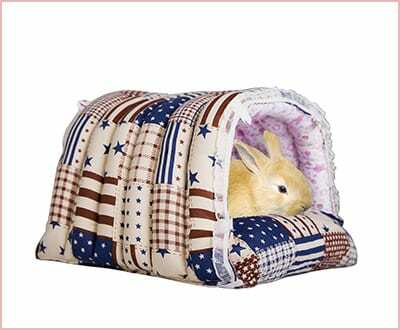 Made of PP cotton, it is thick and soft, offering a comfy place for bunnies to play and hide. It includes 4 clips, which allow it to attach firmly to the cage. It also has a zipper that, when unzipped, allows it to become a tunnel. This toy is not for chewing, since it is made of fabric. It comes in many sizes. We suggest an XL for any rabbit, as the smaller ones tend to be for guinea pigs and hamsters. This is, in our opinion, one of the best rabbit tent and hideaway toys available. That covers the top hideaways and tents for rabbits on Amazon. It is interesting that there are so many products out there for this purpose, and they are all so similar, yet unique in their own ways. 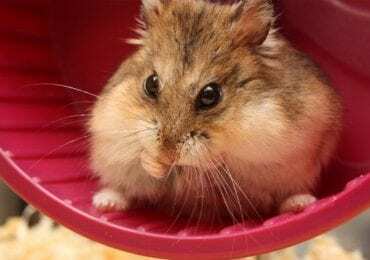 What are the best rabbit tent and hideaway toys you would include on this list?